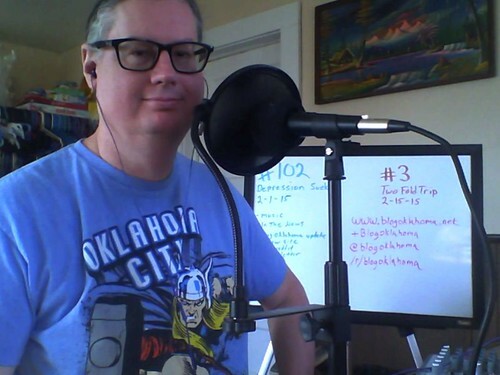 In this episode In The News is back, another Blog Oklahoma update, and Kevin discusses what happened to him over the past year. The wind was really sweeping down the plains, so there is a little bit more that usual background noise in this episode. The wind was a howl'n. Welcome to Blog Oklahoma. Dustbury encountered a patch of greasy water on his drive home from the store. Dishin & Dishes shows how to make some homemade vegetable stock. Red Dirt Ramblings asks, "Why do you want to garden?" Okie Funk discusses the legal and political turmoil of fracking in the state. In related news, the Washington Post reports on how many Oklahomans worry over the recent swarm of earthquakes and their connection to oil industry. NBC News reports on Wednesday the U.S. Supreme Court issued stays of execution for three Oklahoma death-row inmates. In the spring the court will hear a challenge by the inmates to Oklahoma's lethal-injection formula. The Oklahoma Policy Institute released some updated tools to help you decipher this year's Oklahoma legislature. Paul McCord discovered a new low powered pop radio station in Oklahoma City. This Land Press tells the tale of the 1876 murder on Turkey Creek. And finally, The Lost Ogle lets us know someone stole a dinosaur in Bartlesville. Kevin talks about his depression. If you're feeling depressed. Go to talk to someone (anyone). Don't get shut it. Open the door, walk outside, and see the sun. It helps. PS: I apologize for the poor sound quality of this episode. With the howling wind, newly discovered room echo (that's what I get for cleaning the home office), and my emotional state after I recorded the main topic, I didn't clean up the audio like I should. Better next time. Your feedback, as always, is most welcome. - Kevin.